Tom’s one of the top producers in the financial services industry. Always looking to learn from excellence, I asked Tom about the key to his success. Tom shared that while teaching Saxophone in a Master’s program he learned to tear down pieces of music to the minute details. He then rebuilt the music piece by piece with excellence. He applied the same concept to his financial services business. Tom had humble beginnings, but through his faithfulness of bringing excellence to the details of a few accounts, it led to managing many large accounts. Are you faithful with the details in your work? Work. For some this word represents drudgery and the mundane. 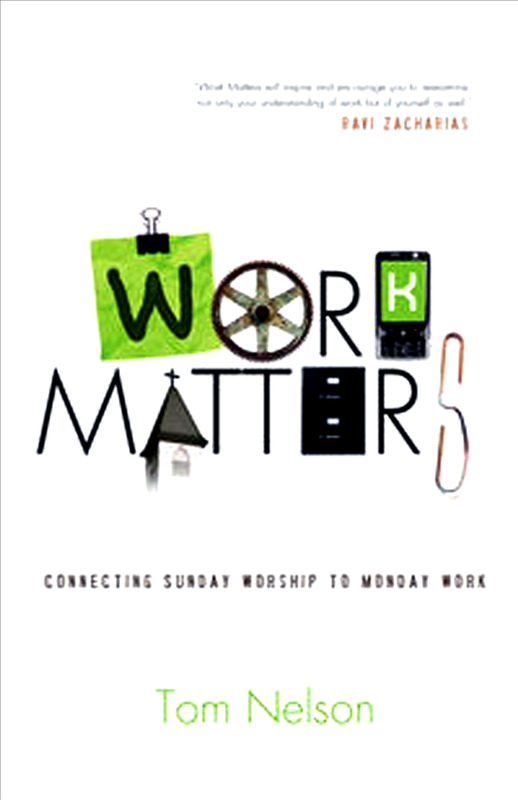 If you find yourself anywhere on the spectrum from workaholic to weekend warrior, it’s time to bridge the gap between Sunday worship and Monday work. Purchase Work Matters here.